I never for a moment acted as President of the US, although I was President of the Senate, at the expiration of Mr. Polk’s term and inauguration of Genl Taylor yet for one moment did I ever consider that I was the legal President of the US, Genl Taylor was the legal Pres, & Millard Fillmore Vice President, either of whom had the legal right, to the Presidency although 31 hours elapsed between the egress of Mr. Polk and the taking of the oath by Genl Taylor. Actually, Atchison wasn’t quite, during the interregnum between the expiration of Polk’s term and the swearing-in of President Taylor, even President pro tempore of the Senate. 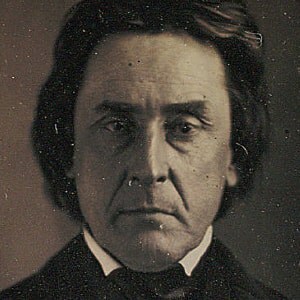 His term expired at midnight, March 4 – with Polk’s term – and he was not sworn in for his new term as President pro tempore until a few minutes before both Fillmore and Taylor on the 5th. If he were Acting President, then it would have been for that length of time – although inasmuch as Taylor and Fillmore had already been certified on March 4, the country was not really without a President and Vice-President. Still, a friend of Acthison’s woke him up at three in the morning on March 4th, and asked to be named Secretary of State. Autograph Letter Signed (twice: as “D.R. Atchison” and with initials), 1 page, octavo, Plattsburg, Clinton County, Missouri, no date. To Jos. W. Howarth, Esq.